You’d like nothing more than to focus your time and energy on growing your business. 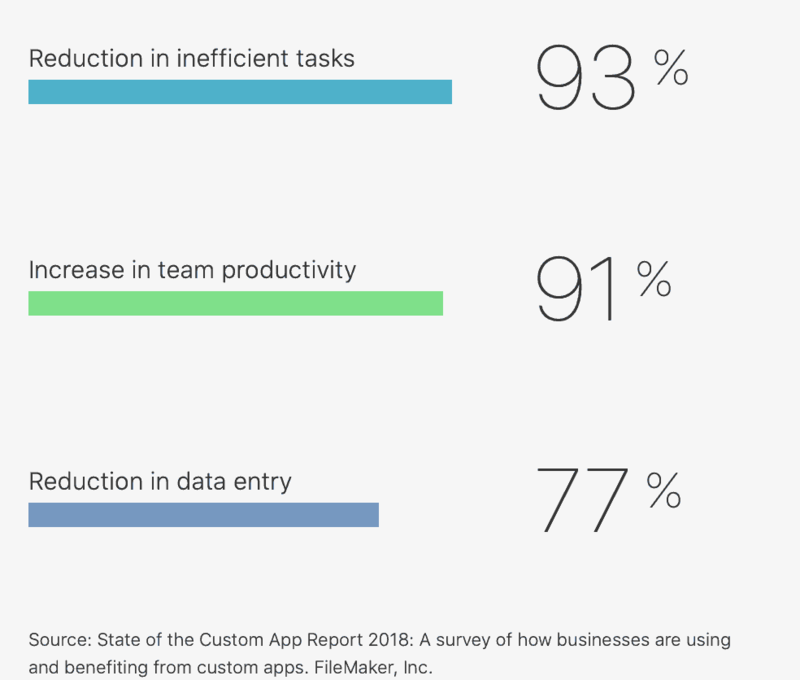 But you are consumed with manual processes and managing spreadsheets, disconnected systems, and administrative tasks. It feels like every time you take two steps forward you end up taking one step back. If you or your business has fallen into this frustrating loop of repetitive tasks, you might be in a work rut. This is where a Workplace Innovation Platform can help. 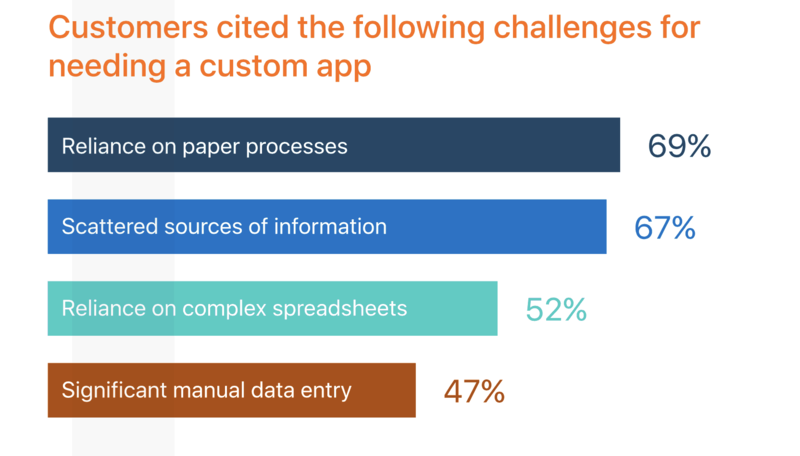 It allows you to build custom apps that can eliminate paper processes, scattered sources of information, and significant manual data entry — freeing your full attention for business-critical, strategic projects. You likely use an ad-hoc mix of appliance apps such as off-the-shelf accounting, email, and file sharing systems to help run the core aspects of your business. They are useful but don’t talk to one another, resulting in siloed information.You may also use enterprise systems like ERP or CRM which can be effective for resourcing and customer relations, but don’t meet the custom needs of your business. Appliance apps are limited and enterprise systems are focused elsewhere.A Workplace Innovation Platform bridges this gap, acting as an intermediary between the two. No matter how your business evolves, the platform is fully customizable to support it.